After funding was cut for the marine biology classes that fascinated them, students founded the Marina Awareness and Conservation Society. A group of the nearly 70 members of the club traveled to the Intercultural Center of the Study of Deserts and Oceans in Puerto Pe–asco, Mexico, over the weekend. 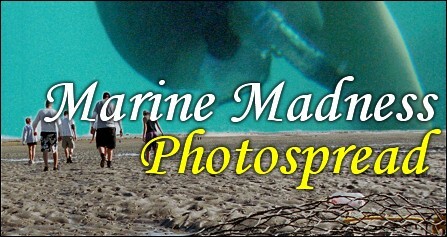 They got hands-on experience studying marine life in tidepools and under the surf in the 72-degree waters of Cholla Bay.